Kauai, Hawaii (MMD Newswire) October 10, 2011 - Westerners have always been fascinated with Eastern spiritual traditions, and many have explored Hinduism. Long before and well after The Beatles' ephemeral flirtation with Eastern meditation in the late 1960s, serious devotees have worked to establish a Hindu presence in the West. 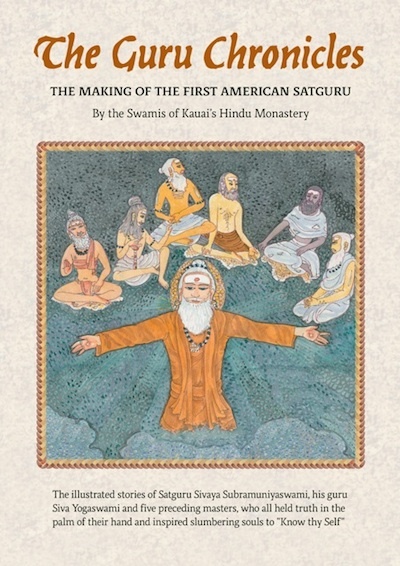 One such person was the late Satguru Sivaya Subramuniyaswami (1927-2001), known fondly as Gurudeva, whose remarkable story - and those of his predecessors, six other mystics - spring to life in a new book, "The Guru Chronicles, The Making of the First American Satguru." A collaborative effort by the Swamis of Kauai's Hindu Monastery.